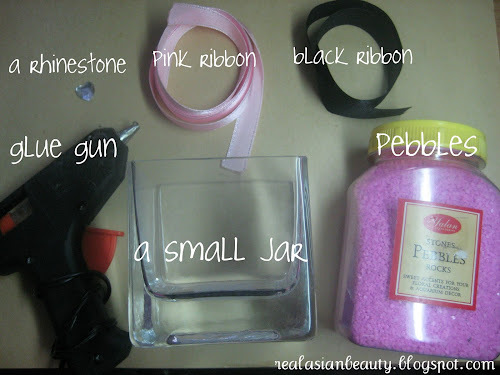 Easy and inexpensive make-up brush holder as seen on juicystar07's videos. Blair and her sister has an online shop that their mom manages. It's called glitzy glam. 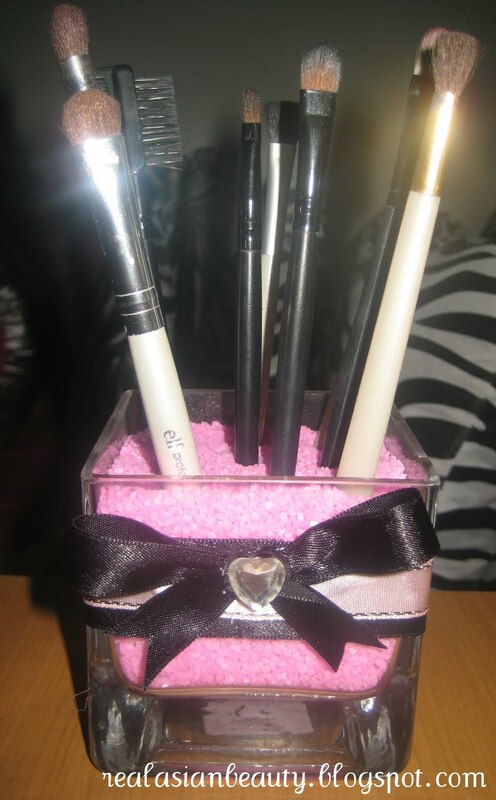 They sell super cute things and one of those is this super girly make-up brush holder. For each make-up brush holder, they charge $15-$22 dollars each and that excludes shipping fee! So, if you've also seen that holder and been wanting to purchase but having second thoughts because of the price, then this tutorial is for you! I got mine from a department store near my place. (Trinoma Dept. store for readers who are from the PH.) I got it for only Php89 or about $2. You could check out local hobby shops or office and school supply stores near you. If you can't find one, then go ahead and use a wide glass or a used jar. I got it for Php59.75 or more than $1. I suggest using a smaller beads/ pebbles than bigger stones because they tend to make the brush handle stuck. Colors are optional. You can go ahead and use colors that suit your taste. It's very simple and the materials are inexpensive. All in all, I think I only spent about Php200 or about $4 for this. Go ahead and make one for your vanity,too!